Doubled the silky scarves, 'cause it's stupid cold out here. Like, I don't even know why I bothered to go out and shoot myself wearing something- because as soon as I got back into my apartment, I dove under my duvet and just contemplated dinner. This post has such a dreamy and timeless quality. 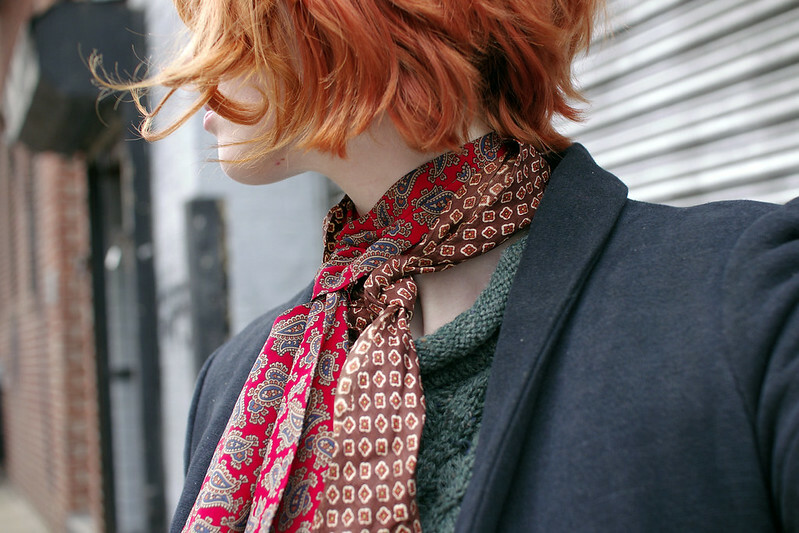 The styling of the double scarves is lovely because of the rich darkness of the colors. Looks like a great idea, anyway the outfit is cool!! Ah! This is perfect styling and such an inspiring post! 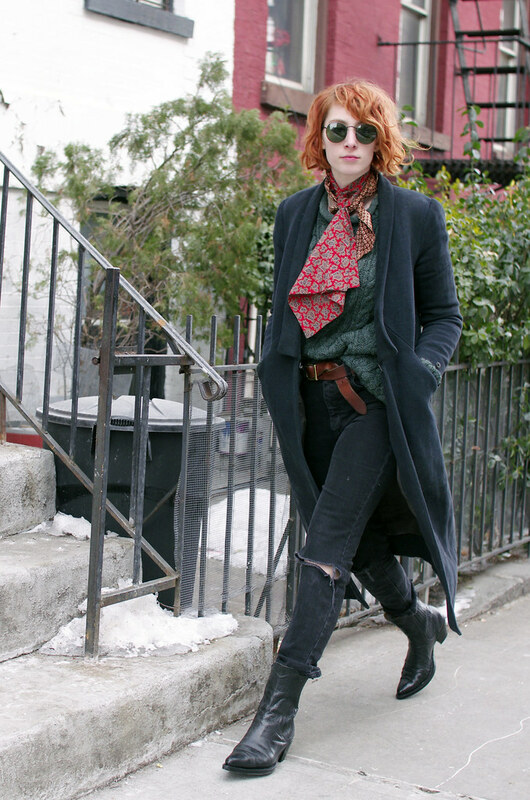 Never thought about layering two scarves! Very cool! The styling on this outfit is perfect. 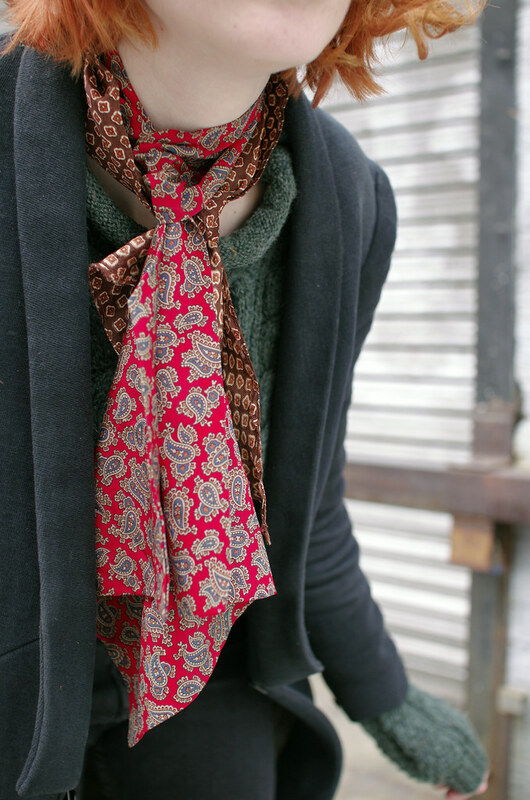 Two scarves is an idea that has never crossed my mind, but looks fantastic. This whole outfit is so well put together!